April 8, 2010 - The Federal Aviation Administration (FAA) has issued an emergency cease and desist orders against Darby Aviation as the FAA does not believe at this time the company has the ability to ensure safe operations. The FAA also has determined that Darby Aviation’s chief pilot and its Director of Operations are not qualified to hold their positions. The company’s lack of proper operating guidance and its failure to follow basic regulatory requirements has undermined the FAA’s confidence in Darby Aviation’s ability to ensure safe operations. Based on those considerations, the FAA determined that emergency action was necessary. Darby Aviation may appeal the emergency order within 10 days of receiving the order. This is not the first time the company has had it license suspended. 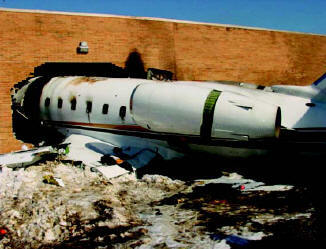 On Feb. 2, 2005, Platinum Jet Challenger 600, N370V was destroyed in a post crash fire after it overran runway 6 at Teterboro Airport. There were not fatalities. As a result of an NTSB investigation it was learned that the Platinum jet was on Darby Aviation 135 certificate. The company that hired Platinum Jet was unaware that Platinum Jet was actually a Part 95 operation. In January 2005, the Federal Aviation Administration (FAA) issued emergency cease and desist orders against both Platinum and Darby. In April 2005, The National Transportation Safety Board (NTSB) Administrative Law Judge William R. Mullins dismissed the emergency order against Darby. However, A few weeks later the NTSB reversed its decision and reinstating the emergency cease and desist order until Darby "demonstrates to the satisfaction of the FAA that it had not surrendered operational control of its certificate. Darby Aviation (“Darby”) was the holder of an Air Carrier Certificate authorizing operations under Parts 119 and 135 of the Federal Aviation Regulations. Darby’s operations specifications authorized Darby to conduct operations under the business name of AlphaJet International. In November 2003, AlphaJet entered into an agreement with Platinum Jet Management (“Platinum”), entitled “Charter Management Agreement.” At the time Platinum did not hold an air carrier certificate under Part 119 and did not have operations specifications to operate under Part 135. Darby d/b/a AlphaJet’s operations specifications and its manual did not list Platinum or its agents, contractors, or employees as authorized to exercise operational control. By virtue of the Charter Management Agreement, from November 2003, February 2005, Darby d/b/a AlphaJet caused, permitted, or allowed a scheme to exist by which Platinum unlawfully operated passenger-carrying flights for compensation or hire. That agreement, Darby d/b/a AlphaJet caused, permitted, or allowed Platinum to operate the aircraft described above on passenger-carrying flights for compensation or hire when Platinum did not hold an Air Carrier Operating Certificate and appropriate operations specifications.